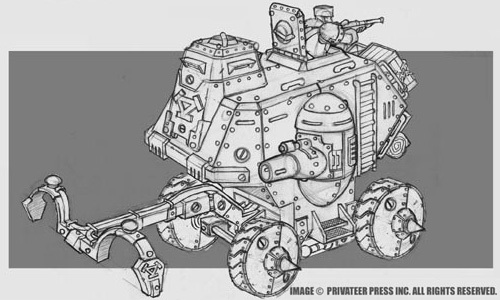 My next project is the Khador Gun Carriage from Privateer Press. The boxed mini has been sitting around on a shelf for over a year now and it is time that it gets some attention. The first impression after opening the box is that it will take a lot of work. I hope it will be finished till the release of the Khador Conquest at the end of the month, but I’m not very optimistic about that. As advertised I assembled and painted the first three minis of Mannikin Studios fae tree series. I really love the theme and the quality of the sculps. On the other hand I was a bit disappointed with the quality of the resin cast on some of the minis. 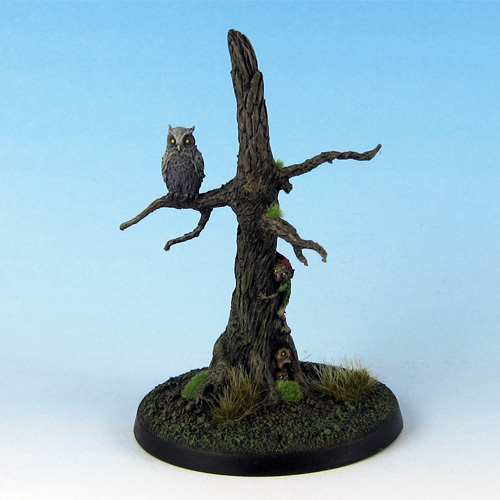 The Owl had a noticable flash line, but this was not a big issue with a resin mini and fixed rather fast. The main problem I had was with the “Two Corbies” mini. The branches of the tree were very thin and one of them was snapped in my blister. Assembly and repair took quite some time (and modeling putty) and the result is a very fragile mini. The price of $12.50 is another problem. 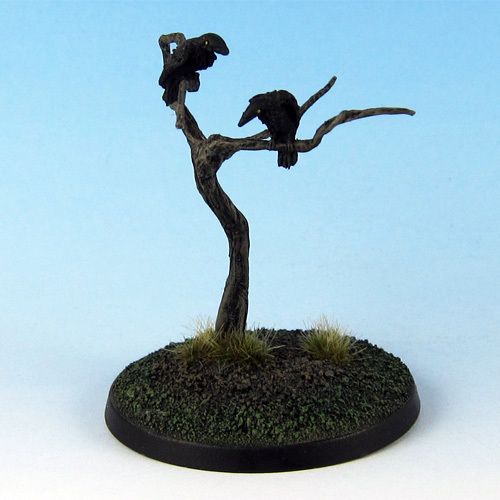 I think it’s very steep for the minis, especially the “Two Corbies”. 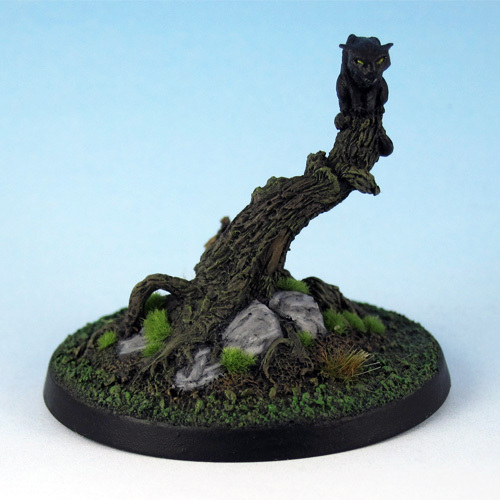 It would have been ok for metal minis (which would have been the right material for the “Two Corbies”) but it’s a bit too expensive for resin. Nevertheless the minis look great and have a very unique feel to them.